Peru. The Andes is the longest continental mountain range in the world. 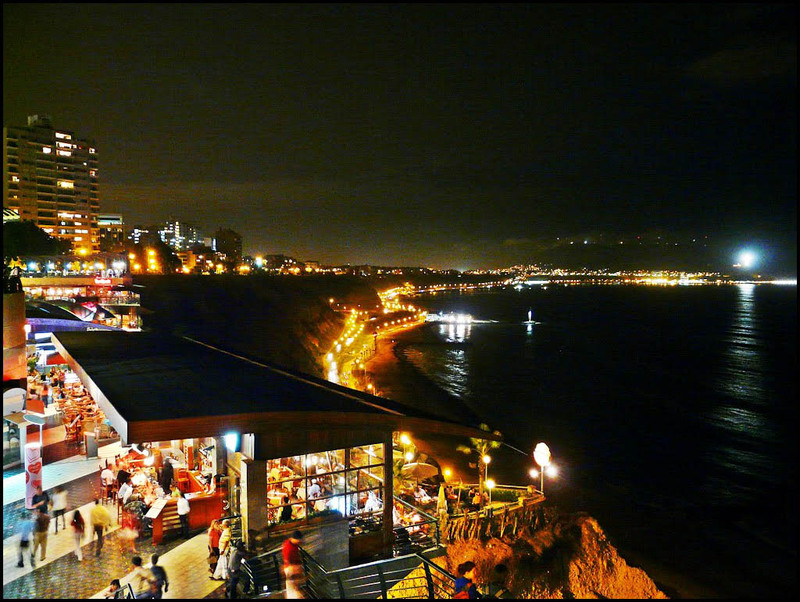 It is a continual range of highlands along the western coast of South America. This range is about 7,000 km (4,300 mi) long, about 200 km (120 mi) to 700 km (430 mi) wide, and of an average height of about 4,000 m (13,000 ft). The Andes extend from north to south through seven South American countries: Argentina, Bolivia, Chile, Colombia, Ecuador, Peru, and Venezuela. Along its length, the Andes is split into several ranges, which are separated by intermediate depressions. 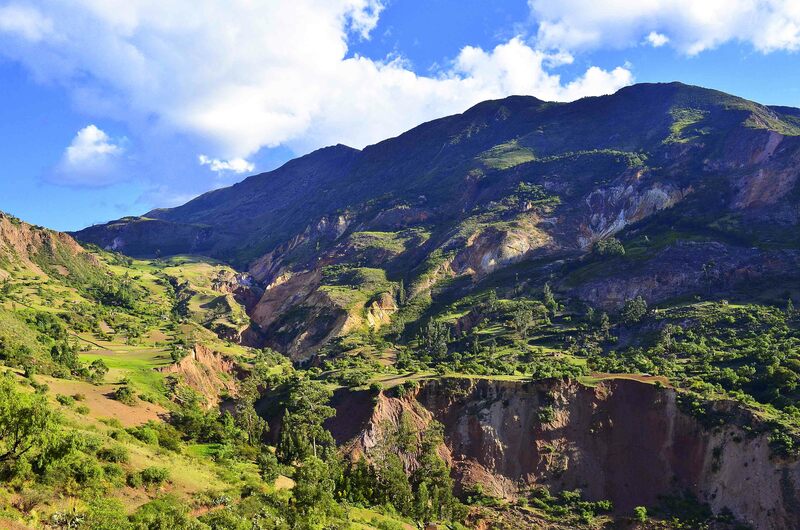 The Andes is the location of several high plateaux – some of which host major cities such as Quito, Bogotá, Arequipa, Medellín, Sucre and La Paz. The Altiplano plateau is the world’s second-highest following the Tibetan plateau. Many years before Les Baxter set off his brilliant career as a composer and arranger with the cornerstone exotica album Ritual of the Savage, formerly Martin Denny establish commercially the genre in 1957 peaking a #1 position on the billboard charts two years later, or even afore Hawaii emancipate itself as the 50th state in the U.S. along with the tiki culture fever, deep in the peruvian amazon forest, there was a girl supposed to be a heiress from the ancient Incas, who molded his voice within the jungle fauna. This unrealistic story could be a lie, but it is not. A supernatural coloratura that showed to the world the original indigenous traditions, its music, customs and beauty. Thanks to this peruvian songbird the post-war America enjoyed as never the musical impressions from distant regions and unknown places, later sold as mythical shangri-las or stereotype south-american jungles. 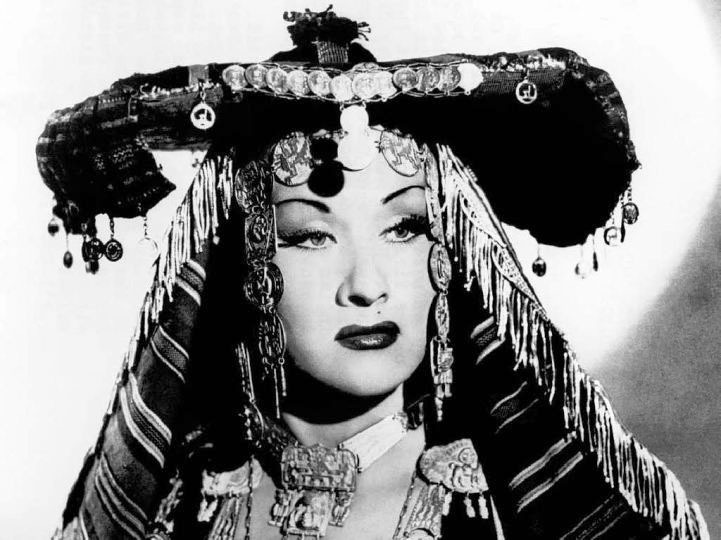 The girl, was Yma Sumac certainly the grandiose female voice of the twentieth century, owner of a vocal range of 4 and a half octaves! Today’s post will begin the search for that which has already been heralded as the revelation of all time, admired by Sinatra, Dietrich, Elizabeth II and many others, the diva throughout its career has gone from folklore chants for the opera, mambo, jazz and even rock. Her voice matured by age 13, a year before Yma’s arrival in Lima, Moisés Vivanco, musician, composer, and director of the Peruvian National Board of Broadcasting had formed the Compañia Peruana de Arte, a group of Indian dancers, singers and musicians. On hearing the young girl sing, he invited her to join his company, but her mother would not consent. Yma, however, was interested, on the pretext of attending night classes, she rehearsed regularly with the Compañia and with them made her radio debut early in 1942, appearing there in over Radio Belgrano, Argentina. 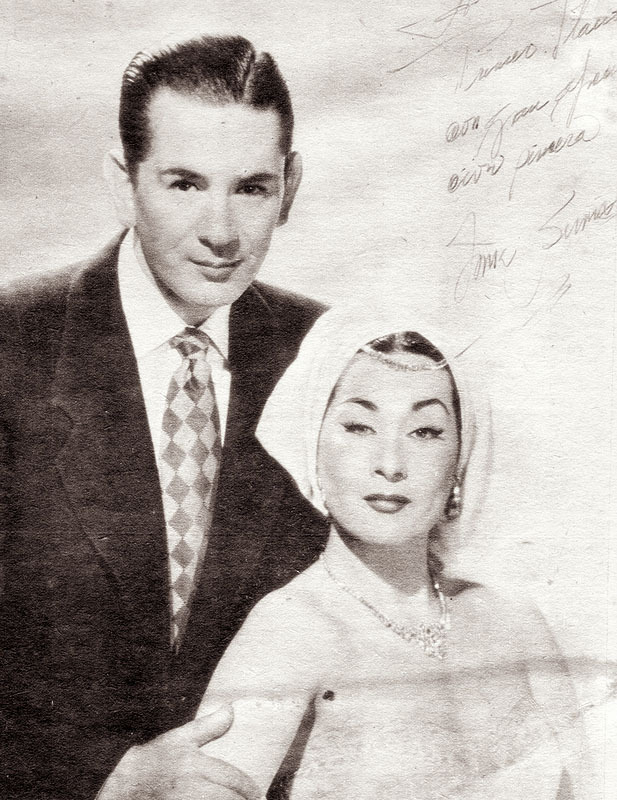 Vivanco and Miss Sumac were married on June 6, 1942 in a civil ceremony in the city of Arequipa, at the foot of El Misti, famed Andean peak. After the wedding, the troupe played in theatres, night clubs, concert halls, and over radio networks in Rio de Janeiro, Buenos Aires and Mexico City. Soon enough South America was quite enchanted with this amazing voice, in 1943, she would record around 16 songs in Argentina. 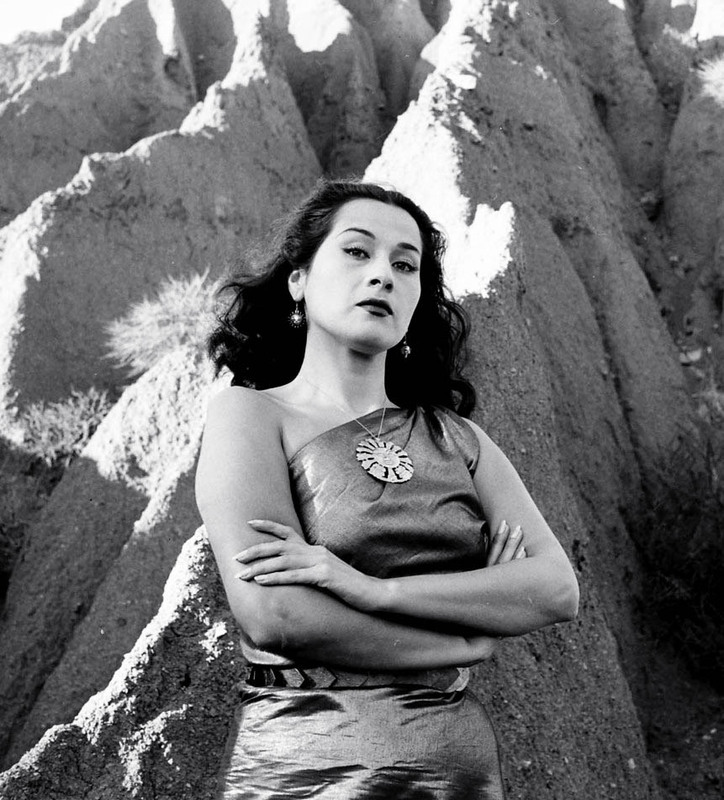 Seeking bigger dreams they arrived in New York in January 1946, the company reduced to three members, Moisés, Yma, and her cousin Cholita Rivero, and sought engagements as the Inca Taky Trio. From 1946 to 1949 they played in many clubs, but Americans were not prepared or particularly interested in the music, finding it a bit bizarre, but many were enchanted with Yma’s lovely face and voice. One night in a small New York club, a talent scout from Capitol Records was present. The man apparently saw great potential in this young lady, he immediately signed them to Capitol, a major American record label. 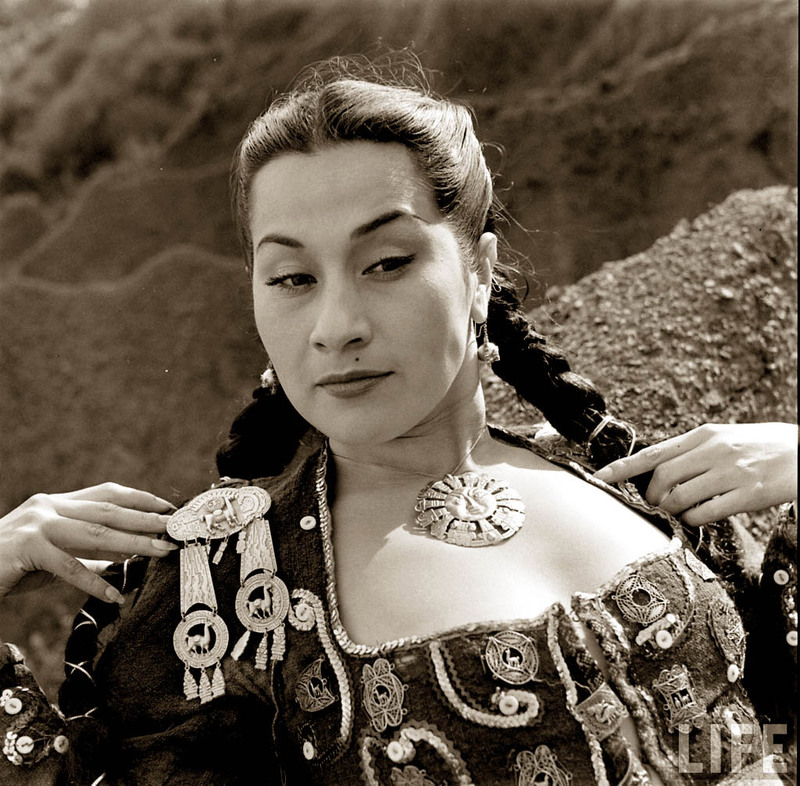 After a massively successful concert at the Hollywood Bowl that same year, Yma Sumac would become world famous, travelling the globe and being a vocal phenomenon. She toured and recorded 7 albums for the entire decade of the 50’s, had worldwide fan clubs and was eventually declared the 8th wonder of the world! In 1961 she went to make two weeks of concerts in Russia, there, the demand for her was so great that she stayed in staggering for 6 months. By tours end, she and husband Moises Vivanco were more than ready for (their second and final) divorce. In the early 1970’s with the encouragement of a few fans, Yma Sumac recorded a complete album of psychedelic music, titled Miracles. Her now infamous temperament dominated the entire project and the album was quickly pulled from record stores everywhere, once complications arose. The original story from this fabulous Lp will be held here soon. 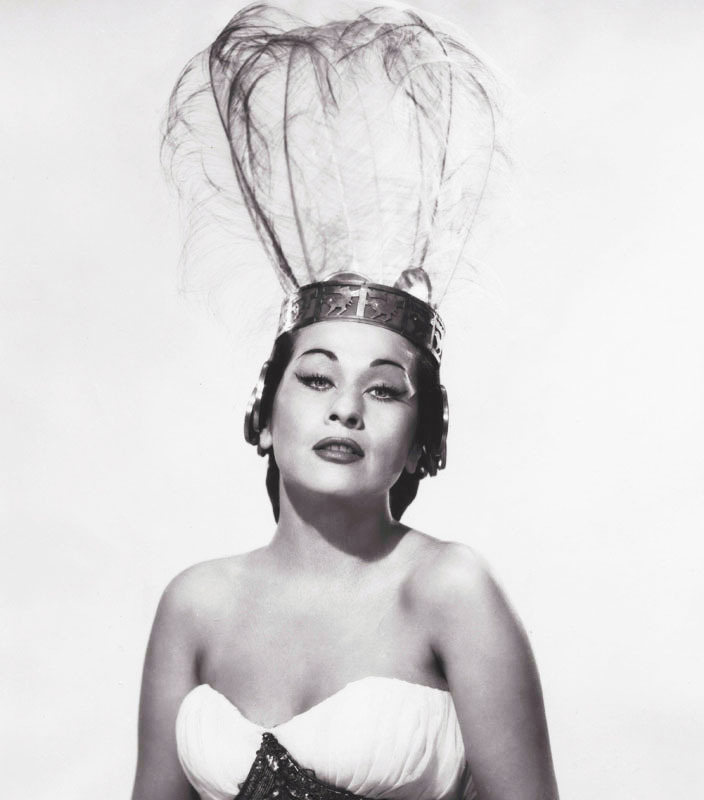 The millennium brought a handful of surprise personal appearances, which resulted in Yma Sumac being awarded the Orden Del Sol of Peru in May of 2006, she traveled to accept the honor in person, and stayed two weeks. I’m very proud to introduce this kind of music, besides all rock, the folklore and world traditions will always be welcomed here! 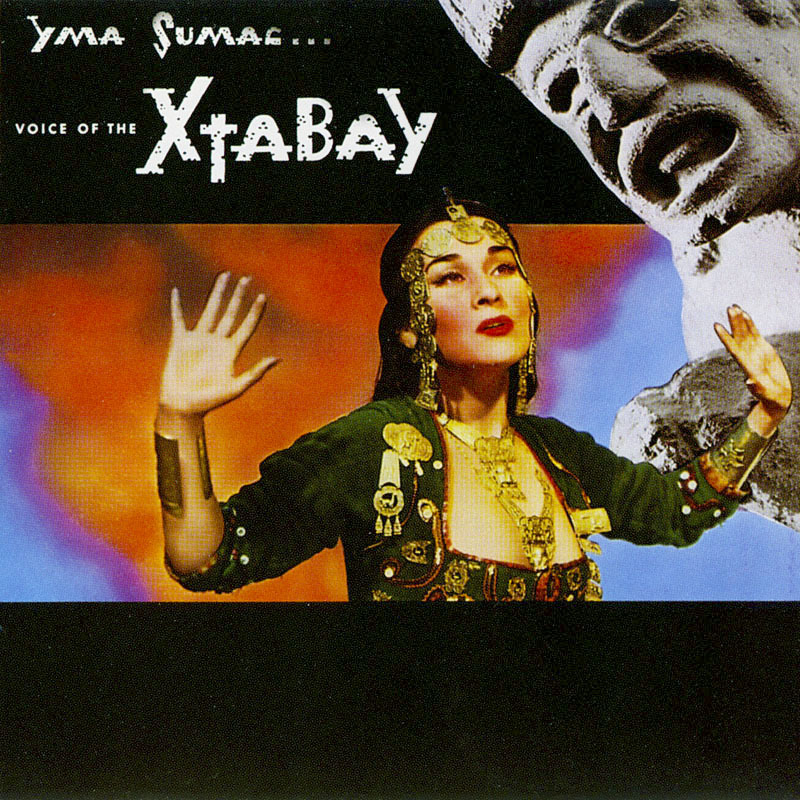 Our today’s album is Yma Sumac’s first and most popular release, and also one of her least hokey or pop-oriented. The spectacular cinematic arrangements composed, arranged and conducted by Les Baxter leads us to many different colorful landscapes, always accompanied by Yma’s frightful performance; the fuzz about his vocal range are ample but i’m not an aficionado in high notes, his technique in lower regions are incredible even for a contralto singer. Our history with an artist like her is just starting, i’m sure everyone will enjoy the many releases of the Inca empress. The ‘IM’ highlights are for: Virgin of the Sun God (Taita Inty), probably the greatest arrangement from the album, a slow-paced percussion invites to the wonders of some faraway place, with lush strings and Yma’s vocal outbursts, an instant classic. And Tumpa (Earthquake), this folklore chant has a short clip in-film on Secret of The Incas, Yma’s shrieks are really incredible, be welcomed to this ancient latin american treasury and ಉತ್ತಮ ಪ್ರವಾಸ! Capitol (1950 and 1952 releases), track position may vary.